Mmmm...tell me one thing...do you have a thing for emojis? As in when any of your employees does a brilliant job, do you, without any forethought, shoot a smiley emoji to him? Or, a sad emoji when the work leaves a lot to be desired? Yes or No? If yes, then it only means you are part of a growing culture that believes in the power of emojis more than the power of words. As it turns out, expressing emotions through emojis is becoming a common practice these days. Amazingly, 92% of the online world is using emojis, according to a September 2015 study by Emogi, a real-time emotional marketing platform. In fact, its use has peaked on popular platforms like Instagram and Snapchat, with almost half of the comments and captions on Instagram composed of emojis. Further, a recent research from eMarketer estimates that 6 billion emoticons and stickers are sent through mobile messages daily. So, it should come as no surprise when Oxford Dictionary chose ‘emojis’ to be the word of the year in 2015. The above graph shows the most popular emojis, globally. Happy faces are popular. Hearts, hand gestures, and romance emojis also make up in good numbers. Taking a leaf out of this growing emoji culture online, brands are making the most of it in their social media communications. According to Socialbakers, 59% of the 500 brands analyzed in 2015 used emojis in their tweets and about 40% of them used it in their Facebook posts. Another research by Appboy revealed a colossal 777% increase in the use of Emojis in brand campaigns from 2015 to 2016. It stands to reason, several more brands, going forward, would be jumping onto the Emoji bandwagon. Emojis help brands lend a personal touch to their marketing messages, which in turn makes the message strikingly appealing to their audience. What’s the online vocab of your target audience? Would the use of an emoji add value to your brand messages? What kind of emoji could go down well with your brand image? Should I use emoji quite frequently or in moderation? Businesses initially might have to experiment with different emojis to figure out the best possible ways to use them, and, specifically, when not to use them. Brand Hillary Clinton, the U.S. Democratic presidential candidate, has seemingly left no stone unturned to make an impact on the U.S. denizens... the Hillmoji keyboard is a testament to that fact. For the uninitiated, this social media savvy candidate has rolled out a complete keyboard called the ‘Hillmoji” Keyboard for both the Android and iOS users. The keyboard includes a significant 30+ Hill emoticons, stickers, GIFs, which could be used to create hill-arious conversations with friends on your favorite messenger apps including Whatsapp and Facebook Messenger. The Hillmoji keyboard has been designed by Snaps – a mobile messaging company. The Hillmoji keyboard is available for free in the App Store. To celebrate the launch of Star Wars: The Force Awakens, Disney turned all its popular characters into Emoji on Twitter. For this, Disney joined hands with Lucasfilm for rolling out special emojis, months before the movie release. This helped Disney in building buzz around the film. Further, Disney recently narrated Star Wars through emojis, in a video which received 9k retweets and 13k likes. Coca-Cola was the first brand to experiment with a custom paid emoji(a paid ad placement) on Twitter. The company teamed up with Twitter hoping that users will come together to create a world record of sorts for the “World’s Largest Cheers,” by tweeting hashtag #ShareaCoke. 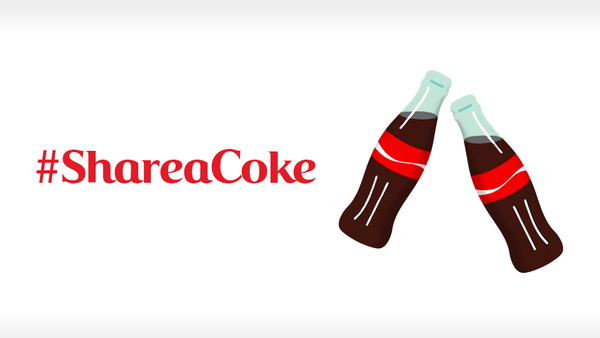 On typing #ShareaCoke into a tweet, a custom emoji of two cute little Coke bottles leaning toward each other pops up. Coco-Cola’s creative concept has lapped up more than 1,70,500 mentions globally, that too within the first 24 hours, breaking all its previous records. “It’s a tremendous opportunity for Coca-Cola to be the first brand and global advertiser to partner with Twitter on this project,” informed Jennifer Healan, group director, Integrated Marketing Content, Coca-Cola North America. The company’s ultra-successful emoji campaign made brands realize the potential of a single emoji in establishing an emotional connect with the users, that too in just 24 hours, paving way for other new campaigns. 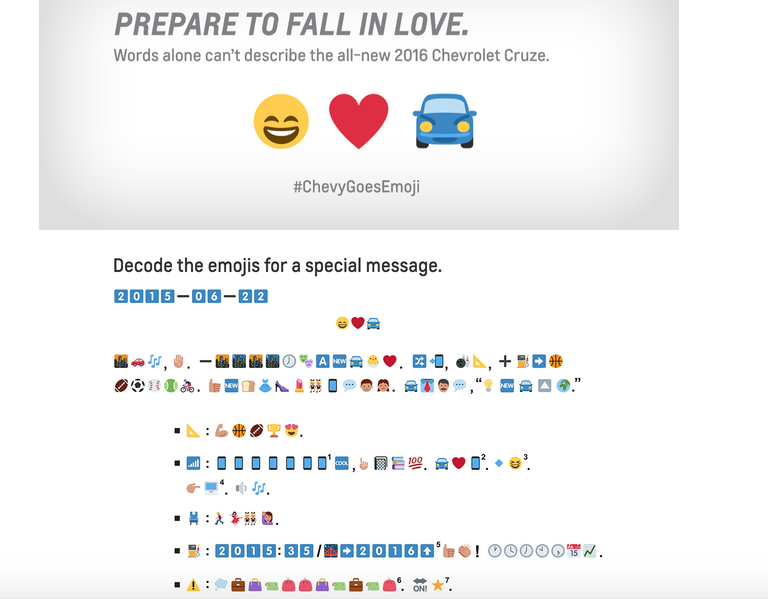 Chevrolet came up with a highly publicized emoji campaign while launching its 2016 Cruze. 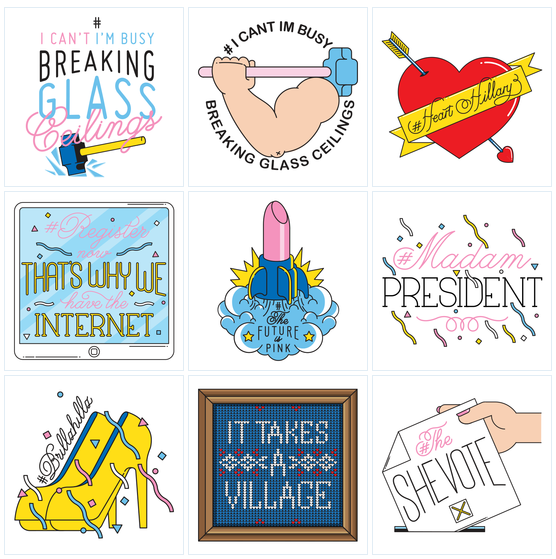 As part of the campaign, the company released a press release loaded with emojis. But then, the emojis turned out to be incomprehensible. Folks were flummoxed. But then, the press release managed to do create hype on a scale that was quite unexpected. When the dust settled, relevant videos were released by the company to help journalists and fellow readers decipher the incomprehensible emojis. The campaign got some mind-boggling results, however. 18X higher engagement rate on Twitter, 166.0000 views on YouTube, 21.7 million views on paid social and display advertising. The campaign only proved that out-of-the-box ideas would never go unnoticed. Recent studies show that emotions influence consumer buying more than information and logic. 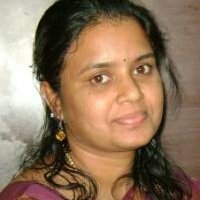 So, without giving way to second thoughts, use emojis in all your push app notifications strategies, especially while launching a product, and also for increasing sales. But then, use it wisely. With smartphone home screen being described as the most valuable real estate on the planet, businesses should bank on emojis given that it helps cut down on words significantly. Don’t overuse it. Find the right balance and stick to it. Make sure it builds positive sentiment rather than upsetting the users. Goldman Sachs overuse of emojis is a case in point. Study the latest trends, understand the audience requirements to know what they are expecting from your brand. Mobile Keyboard company Swiftkey collected a whopping 1 million emoji from all around the world, and then finally chose just 800 of them. They were further set in 60 different categories. 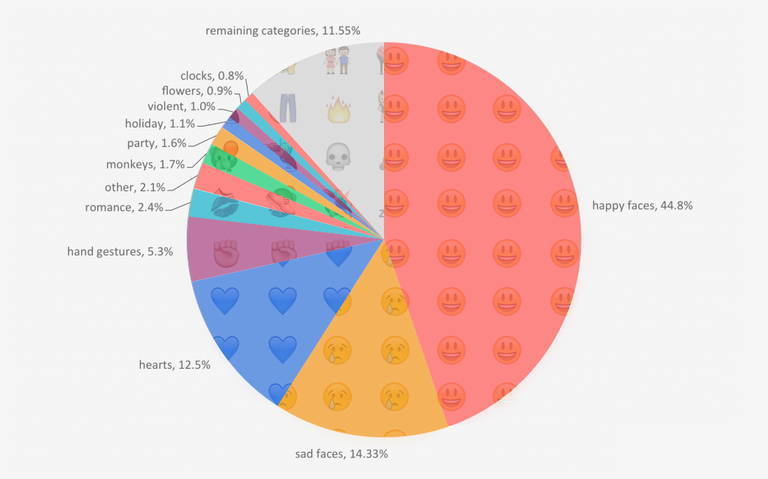 On analyzing the emojis, which were in 16 different languages and regions, it was found that happy face was the most popular emoji across all nations, followed by sad face. Americans use LGBT emoji 30% more than the average global users. Arabic speakers use more of flower and plant emoji, followed by sun and heat-related emoji. French love to use more heart emojis than anything else. Russians prefer romantic triple emojis. Australians go for alcohol related emojis. In terms of funny images like farts and poops, Malaysia is at the forefront. So, if you intend to market your products in any of these countries, bring to mind the emoji that’s popular in that particular nation and then embed it to your marketing campaign to attract maximum eyeballs. If visuals are worth a million words, emojis are equally worth, if not more. Though it may appear funny and fundamental, but then emojis are proving to be an integral part of business communications and helping businesses connect with users in a special way. How about you? Does your business believe in using emojis in marketing messages? Go ahead, voice your thoughts in the comment box.